The Graduate School and the Office for Campus Diversity have partnered to provide academic and social support to underrepresented and minority graduate students at the University of Louisiana at Lafayette. Named for the first African American to receive a graduate degree at UL Lafayette, the James Jackson Community of Scholars is dedicated to providing support, community, and professional development to minority students to thrive in their individual programs of study. 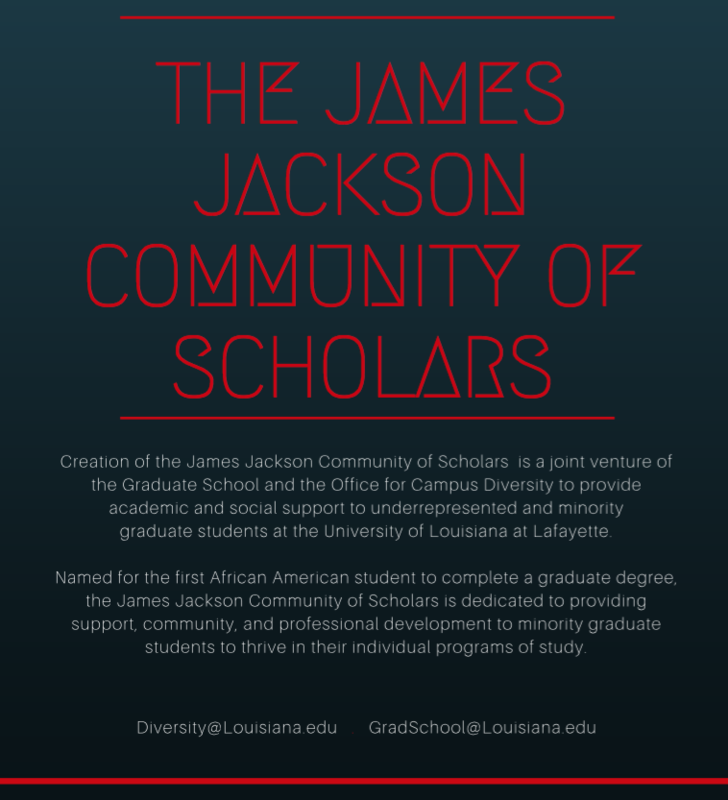 To learn more about the James Jackson Community of Scholars, send an email to gradschool@louisiana.edu.